I’ve waited to hear those words for nearly six months, after a suspicious mammogram led to a host of other tests and procedures. Each round of results revealed more about what was causing the abnormalities. Ultimately I discovered that I have two conditions that generate atypical cells and put me at increased risk for breast cancer. Genetically I’m already predisposed, since my mom died from it at age 46. Because of her early death, I had my first mammogram at age 29. I’ve long paid close attention to the health of my breasts. For years I figured my small size meant I couldn’t possibly face my mom’s fate–she was much curvier. I was wrong, and painfully so. Mammograms and biopsies are easier when you have more tissue to offer. In late June an initial mammogram showed that both of my breasts had calcifications, tiny calcium deposits that can indicate cancer. They hadn’t appeared on my mammogram from five years earlier. My doctor ordered a diagnostic mammogram and an ultrasound, which indicated calcifications in patterns, a more specific sign of possible breast cancer. They also pointed to slightly larger clusters of cells. According to the doctors, I have “very active” breasts, spurred by high levels of estrogen. More imaging was ordered. A breast MRI, to get a closer look at the clusters of cells, an MRI-guided biopsy followed by another mammogram, to dig into the clusters, and a mammogram-guided biopsy, to test the calcifications. Different abnormalities call for different technology. I also met with a team of genetic counselors and an oncologist. They encouraged me to get a blood test to determine if I had the breast-cancer genes, also known as BRCA1 and BRCA2. 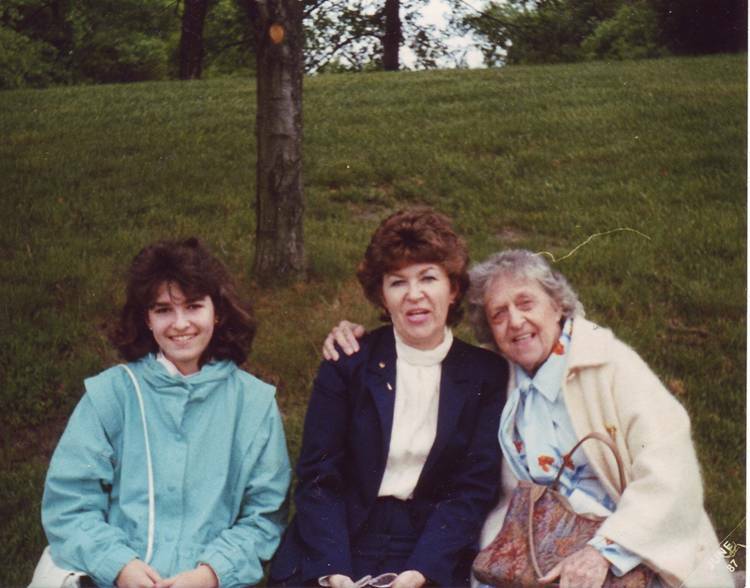 In addition to my mom, both my maternal grandmother and my maternal great grandmother had breast cancer in their later years, and both had mastectomies. My dad’s mom died of ovarian cancer in her 70s. My genetics reeked of risk. My first good news came when I learned that I’m not BRCA-positive. More arrived when all of the biopsies revealed no cancer. What they did show were two conditions considered markers for an increased risk of breast cancer: atypical ductal hyperplasia (ADH) and flat epithelial atypia (FEA). Both are characterized by abnormal cell growth. Because the first two biopsies were merely samples, the doctors couldn’t say for sure that no cancer cells are lurking in my breasts. So they urged me to get an excisional biopsy, where a surgeon would remove all of the questionable tissue and submit it for a full evaluation. I had the surgery earlier this week. It involved another mammogram, where nurses and a radiologist inserted long needles into the lesions. These lesions are small and burrowed deep, so positioning the needles was a chore. The surgery itself was easy, because I was sedated and fully unaware of the action. I was up and around 30 minutes after the operation, eating and drinking. Two days later, the pathology report arrived, showing no signs of cancer. I’m recovering well. But the last six months have been a crush of emotions: The threat of cancer is a mind-bending menagerie of fear, frustration and confusion. For me, the biopsies have been a trek down a not-so-happy memory lane. I’ve returned to the summer when I watched my young mom die, stage-by-stage, hope lost after hope lost. I’m a girl again, mourning her in a new, unexpected way. 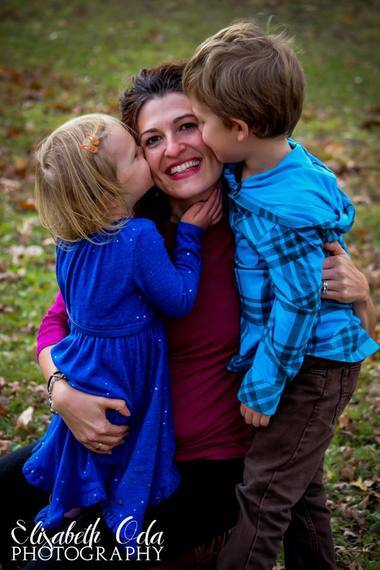 And yet, I’m in her shoes — a young mom facing my mortality. When I have cried in the operating rooms, the tears have streamed for the mom I lost, the mom I am, and the mom I hope to become. I have prayed that my family history would not repeat. What if I don’t get the chance to see my kids become adults? It happened to my mom. It happened to my brother. Maybe my family is riddled with a generational blight: dying young. Seeing my children grow into adults is my great aim.Still I believe that any such generational failing can stop with me. Throughout this process, my medical team repeated the same phrase: “Whatever is going on in your body, we have caught it early. If there’s cancer, it’s not just treatable, it’s curable.” Medical advances and technology are astoundingly precise — far more than they were 25 years ago, when my mom died. This encourages me. My mom also allowed a tumor to fester in her breast for a year before she scraped up the courage to get a mammogram. I haven’t inherited her penchant for sitting on my hands. If any of the abnormalities in my breasts had been large enough for me to feel, I would’ve bolted for help. Since my diagnoses, I’ve begun seeing a doctor of applied kinesiology. He uses a combination of acupuncture, Eastern medicine, supplements, chiropractic care and energy testing to help the body heal itself. Through supplements and natural therapy, he’s working to balance my endocrine system and reduce the high estrogen levels that have triggered my breast abnormalities. I’m also taking essential oils, like Frankincense and clove. I’ll be getting more frequent mammograms and biopsies, every six months. I have the option of taking Tamoxifen, a medication that could cut my cancer risk in half. The side effects are significant, though, and I’ve not decided whether it’s the best route. I’d rather not have ADH or FEA, high estrogen or any other cancer threat. But this journey has stretched my understanding — of my body, my mind and my faith. And it has empowered me to take even greater charge of my health than I have in the past. For now, I’m on vacation from my breasts. They’re small, but they devoured a large part of my year. Like the last line: “They’re small, but they devoured a large part of my year.” Your post helps me glimpse the life of a friend with ongoing medical issues who recently left work to endure a hospitalization and then a six-week recovery without any explanation. I can understand that. Though my issues have never been my own health,I’ve been silent myself, at time, thinking, “How many synonyms for difficult am I allowed?” Thanks for cluing us in. Thanks, Lori, for your perspective. Breast health is so important, complicated and tricky. I’m sure your friend appreciates your presence, support and any words you offer. As I’ve said, I rode a six-month wave of uncertainty, largely carried by the prayers of people like you.